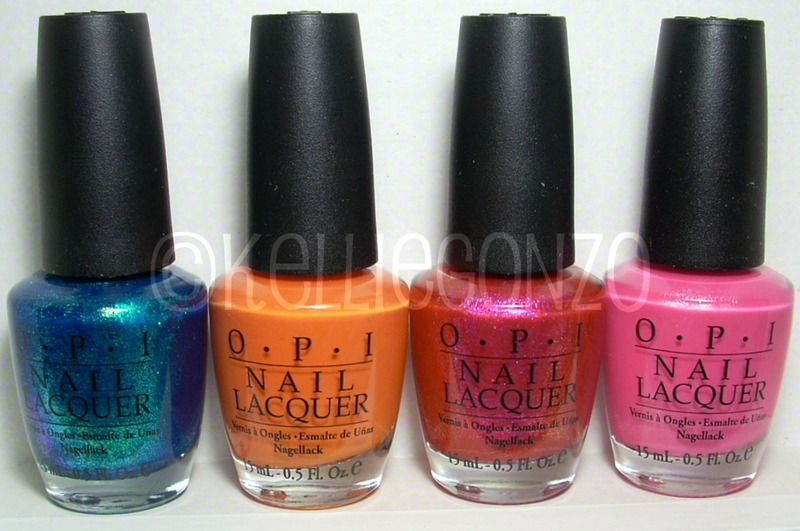 i was given the opportunity to review/swatch the opi summer flutter collection in conjunction with All You Desire. there are four polishes in the collection, an orange, a pink, and two glass flecked shimmers, a blue and a red/pink/orangey color. catch me in your net is quite breathtaking and a different than most of the polishes that opi usually does. 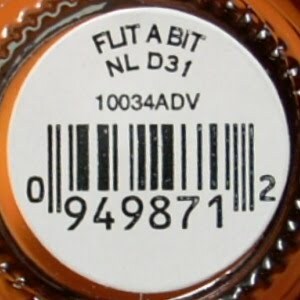 i hope this is a new direction they're going in, because this i love this polish. 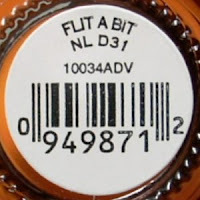 and yes, if you've heard the rumors, it's pretty much a dupe for zoya's charla. 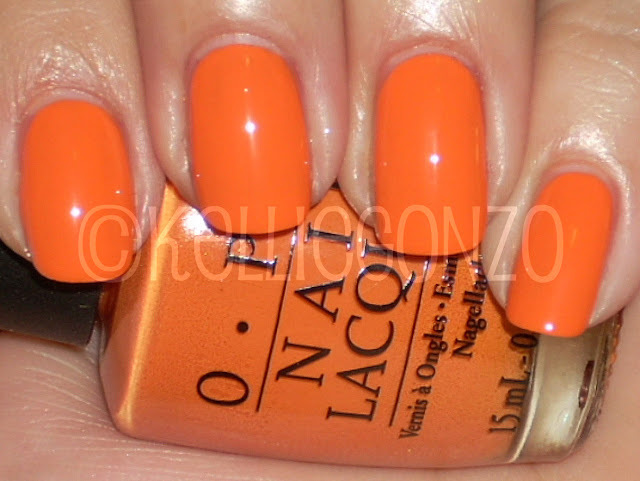 i think catch is a bit less opaque and less chunky in texture than charla, but you can't beat opi's pro-wide brush. this is three coats covered with seche vite. i la la love pinks :D and this one has sssshhhhiiimmmmaaahhh :D silver shimmer particles mixed up with a bright girly pink make up flower-to-flower. this one was thicker than the other creme, but still ok to work with. this took three coats. now....wing it. i think they "winged it" when they came up with this color. eww. i know a lot of people love this color, but i absolutely detest it. it's a hot mess. 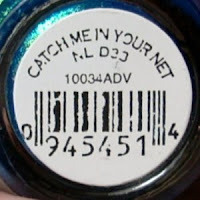 same foil/glass flecked finish as catch me in your net but this one was painfully sheer. and the colors they used for the duochrome just don't compliment each other in my opinion. i think it looks like a franken polish gone terribly wrong. or a yucky layering experiment. this is four freaking coats. 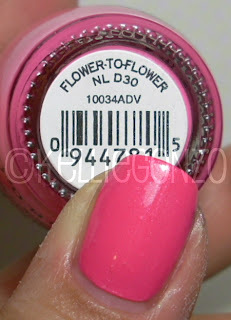 i am feeling under the weather today :( but i got some nail mail so it cheered me up! i won chanel particulière in a contest, and i bought a few choice colors at a local beauty shop for a discount. looking forward to a restful evening and a quiet weekend. what are your plans? Disclosure: The product(s) in this post were provided to me by the public relations company or the manufacturer for consideration. Please see "Disclosure" tab for more information.